University of New Hampshire, Durham continued its fine tribute to composer Amy Beach with a recital of her songs, and her one-act opera Cabildo last night. Having seen the revival in 1995 on the “Great Performances at Lincoln Center” series, which led to what is still the only CD of the work, I was eager to hear it again. Really, 22 years is too long to wait for this lively and engaging chamber opera. The cast of young singers admirably brought it to life in Bratton Recital Hall, a simple classroom space, which was filled with music-lovers and friends of the cast. While very far from a professional reading, it was certainly worth taking in. The story—set in the Governor’s mansion in New Orleans, the historic Cabildo, has a framework—tourists touring the Cabildo—and a play-within-a-play (a dream of Mary, one of the tourists; Aliza Cilley brought dramatic flair to this role). Mary’s dream reveals that Pierre LaFitte, pirate, imprisoned in the Cabildo, was released by the ghost of a mysterious lady, Valerie. Thus he escapes and is able to help General Jackson win the War of 1812, so that New Orleans and the United States are saved. While the plot emphasizes the importance of “woman” (to speak in generalities), it is in the 19th-century manner of woman as the “eternal feminine,” the “behind-the-scenes” force in history, supporting the role of men. In the opening with the chorus of tourists, the tour guides/barkers (a spoken role, here divided in two) engage in banter with the chorus. Mary has a lighthearted love duet with her new husband Tom, but she is also intrigued in the story of the pirate, Pierre LaFitte, and his mysterious escape. The dream scene is serious in tone, with the exception of the Jailer’s set number, “Cognac Sweet,” which is a borrowing of a Creole folk song (sung with panache by Zachary Hertrich). Elsewhere Beach draws from a range of Creole melodies, but most are woven into the texture of the opera. LaFitte is desperate in his imprisoned state. Lady Valerie appears, and the scene builds—through Beach’s rich and luscious use of harmonic color—to the rapturous and intense love duet of Valerie and Pierre. Here Beach drew on one of her own songs “When Soul is Joined to Soul,” of decades earlier. Katherine Curtis (as Valerie) and Patrick Berry (as LaFitte) were adept and lovely singers, although the chromaticism of the writing would challenge all but the most experienced singers. Also vocally strong was Samantha Hartsfield, as LaFitte’s compatriot, Dominque You. Director David Ripley brought out the rich musicality of the score (with Elizabeth Blood as the remarkable pianist, joined by Dorothy Braker, cello, and Hannah Reitz, violin) and drew confident performances from the young cast. While the work is not yet published (Ripley used his own edition), musicologist Nicole Powlison has recently completed a scholarly edition, which we can hope will be published soon, and which will make the work more widely available. David Ripley also show a fine musical sensibility in his choice of Beach songs that preceded the opera. Carefully arranged to showcase Beach’s musical style, they spanned her career from Op. 2 (“Twilight”) to Op. 152 (“Though I Take the Wings of Morning”). Beach’s songs are mostly under two minutes. Thus, they pose a problem in how to present a series of discrete, unconnected vignettes. I think the format of having one singer for each song, with each new singer creating a new atmosphere for his or her work, worked beautifully. It was all graceful and smooth, with some of the singers even rotating in as page-turner for the flawless pianist (Blood). “Villanelle,” one of the longer songs follows an intense text by Edith M. Thomas (yes, it would have been nice to have the text authors named in the program, but I guess Ripley had enough on his plate …). 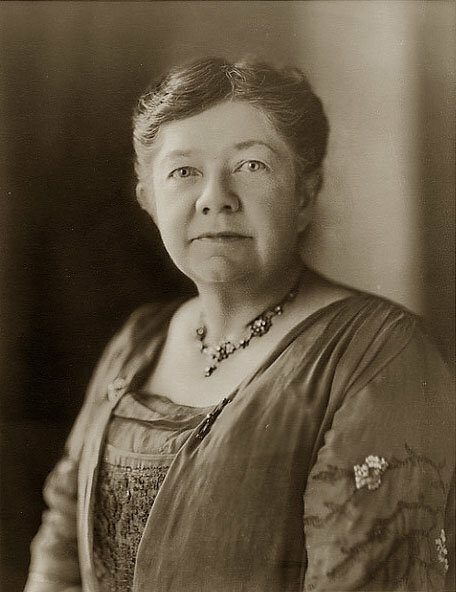 Though the NY Times once described Thomas as “one of the most distinguished American poets,” Beach seems to be the only composer to have set her words. Daniel Cain gave a gripping interpretation of this transportive and powerful song. Joseph Harris dramatically delivered “Wind O’ the Westward,” with its eerie and tragic text. Beach’s lighthearted and comic works were represented as well, with “The Candy Lion,” “Wouldn’t that be Queer,” and “Thanksgiving Fable” (given vivid portrayals by Rachel Moss, Isabelle Hegland, and Taryn Anderson). Beach’s songs are sometimes dismissed as “mere trifles,” but remember that (at the dinner table) the trifle is a multilayered dish representing all four essential food groups. So too on the stage, the short songs add up to a real, engaging substance. These songs were all complete delight to me, and I really appreciated Ripley’s avoiding the few Beach songs that tend to be the only ones that get performed, and instead bringing to light some little-known works and deserving works. The concert is repeated tonight (Saturday), free, limited seating. Details here. Fact checking my own article, re. “representing all four essential food groups” — this assumes alcohol is a food group….